Mardi Gras Murder Anthology: Now including a submission I sent! 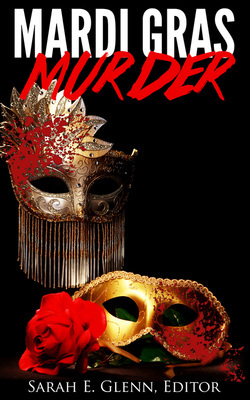 Mystery & Horror LLC accepted a story "Why The Mask" for their upcoming Mardi Gras Murder anthology. 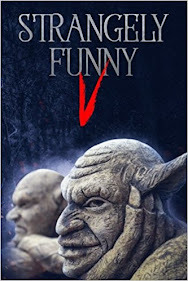 This is following the submission "I Must Be Your First" for their Strangely Funny anthology, which has garnered some decent reviews on GoodReads and Amazon.com. I told you earlier about Ocean the Wiggle Cat. It's a week after the new year started, I know, but this is more a To-Do List than a resolutions page anyway. Need to improve at work. The first months at a new place of employ is getting settled in, getting aware of the rules and office arrangements. Now that I've been at Bartow Public for a year now, I need to step up a bit more, pick up on the classes I'm teaching for computer use and pick up on some of the duties a reference librarian should do. Need to get more writing finished. I've had way too many projects getting juggled and barely any finished. On the bright side, I've gotten back into finishing up short stories well enough to get published in an anthology... and will get a second submission looked at for acceptance (here's hoping). But there's three five stories on file needing completion. One is two, maybe three chapters away from getting finished as a rough draft, at which point I'll need beta readers to test the narrative and destroy my work pointing out glaring inaccuracies and terrible dialog. Need to lose weight. I've gotten down to 277 lbs before, shouldn't be anywhere above 300 lbs, but here I am again. A lot of the weight re-gain wasn't from a bad diet as it was the inactivity (and dour mood) brought on by prolonged unemployment. But that's been a year now, I'm fully employed and doing well and need to get my body feeling as good as I need to.